Federal Trade Commission (FTC) officials invested four years in seeking a verdict from a federal court on their charge that the multi-level marketing (MLM) company, BurnLounge, Inc. was an illegal pyramid scheme. Finally, on July 1, 2011, the verdict came in: Guilty! 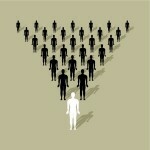 How do you tell the difference between legitimate direct selling and pyramid recruitment schemes? Many -- too many -- are financial traps, but which ones? This free audio and written report provides the tools and facts you need to spot the scams. Get it now. A recent newsworthy development(s) places these schemes on this list. A scheme's absence from the list does not indicate legitimacy or legality and the listing does not indicate the opposite. Ponzis and Pyramids is a consumer education audio series that examines multi-level marketing and revealing the similarities between Wall Street Ponzis and Main Street Pyramids. Ponzis and Pyramids is sponsored by Pyramid Scheme Alert and supported by donations from dedicated consumer activists, attorneys, and authors. Each show is 60 minutes long and is in MP3 format for downloading to iPod or any MP3 player. Read more up-to-date news and information about multi-level marketing schemes. Robert L. FitzPatrick, the publisher, is the co-author of the book, False Profits, the first book-length analysis of pyramid schemes and multi-level marketing ever published. He is also founder and president of Pyramid Scheme Alert. Are you looking for an article from the old Pyramid Scheme Alert website? Everything is still available here.